Club Penguin Cheats by Mimo777 Club Penguin Cheats by Mimo777: Club Penguin July Events! Woot! July is gonna be a blast! The Music Jam will be here soon and check out the fireworks at the Iceberg and Ski Hill. Also, Music Jam 2010 will be here July 9th! Woot! There will be an members exclusive room called Casa Fiesta! Let me know what you think about all the cool July happenings! JULY IS GUNNA BE A BLAST! thanx 4 ur cheats mimo! awesome as always! I am really excited for the music jam but I have cam right in the middle of it! Nice announcement, Mimo, as always! Can't wait for your PB and Cadence trackers to come. I love the music jam! And even though the fireworks are always the same they're still cool every year! I love the Music Jam! It is always the best party with the rockin stages and jammin penguin band! woooh my fav party after my bday! JULY IS GONNA BE A BLAST!! I CANT WAIT TO TRACK CLUB PENGUIN BAND AND CADENCE!! You know my favourite party? It's funny cos they have actual pots of jam. Yum Yum!! I really want to get The Penguin Band's background. Do you think they have changed it since last time? I don't really want them to be the same but who cares!! Hey Mimo! 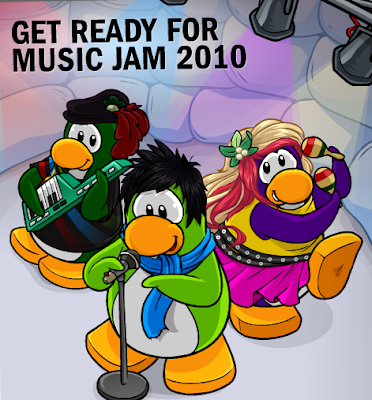 Cant wait for Music Jam..only person left i have to meet is the Penguin Band.. i am gonna have to try my hardest to get backstage! 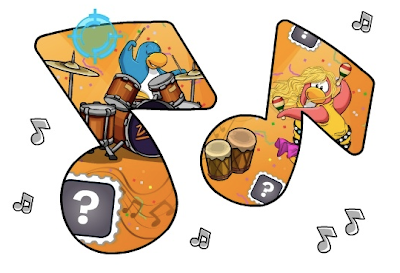 By the way i think the July events are more field ops because of the icon, Music Jam! and last but not least it looks like stamps floating around in the picture! Maybe will now have postcards with are own stamps! That sound awsome yo can't wait. Mimo If theres fireworks at The ice-berg That also means there is some at the ski moutain!! I'm on holiday in the middle of the country, and I will be out and about all the time. wow the first picture gots the field ops simbol. Thanx for your cheats mimo u r very cool. I think there is going to be all sorts of DJ items to be bought. There might be a music catalog. A special one! i noticed that, like the newspaper jokes last week, one doesn't have the Q and A next to the question and Answer. but this time it is on the last joke instead of the first. Whoah, yeah! Didn't they have that last year? I think so... Idk since I wasn't a member last year. Anyways I am SO excited. I can't even tell you. Lol! P.S No Caps! it hurts Mimo's ears! Its gana be SO fun I hope i can find the penguin band this time. By the way Im gana be celebrating my birthday on the 10th of July. ~~~~~~~~~~~~~~~~~~~~~~~~~~~~~~~~~~~Me to the music jam is awesome. And you're right the fire works are the same but they still are cool. Wow!! It looks awesome. What about that field op sign there!!! 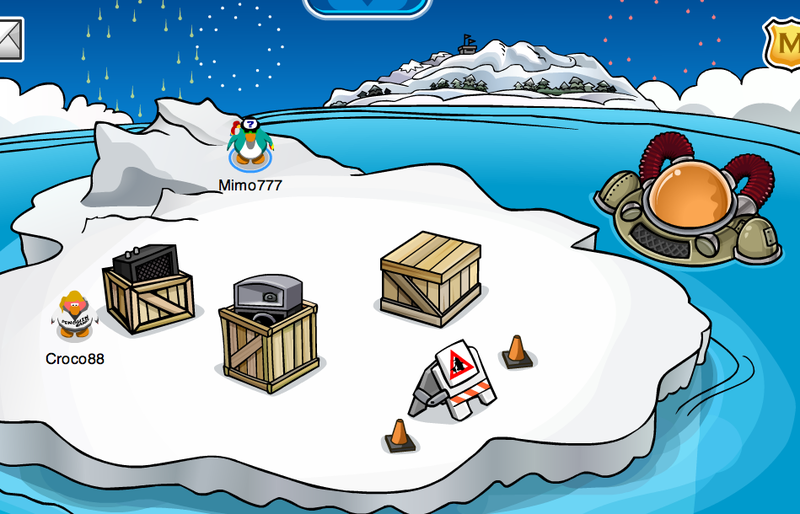 mimo at the iceberg there is sometimes a puffle firework and you can see them at the mountain!!!! Mimo you rock! GO USA! I actually never thought about that! I honestly think that it's just a coinidence because the Music Jam is just an annual thing now for Club Penguin. could be wrong though!